Amazon stock made a big after-hours “shock and awe” move after it reported a huge headline “beat” of its Q3 earnings. It’s a funny thing how the “beat the Street” game works. Ninety days ago the consensus estimate for Q3 was $1.09, with one estimate as high as $1.59. The estimates were systematically “walked down” over the last 3 months to a mean estimate of 2 cents and a high-end estimate of 26 cents. This is how the game is played. Make no mistake, the Company knowingly “guides” analysts down in order to engineer a “headline” surprise. This is how absurd this game has become. The “beat the numbers” game is one of the many frauds connected with corporate earnings reports. That said, AMZN’s EPS in Q3 2017 were the same as Q3 2016 – zero EPS growth. Bear in mind that GAAP acquisition accounting manipulation is heavily at play here. Acquisition accounting enables a company to boost revenues and hide expenses. 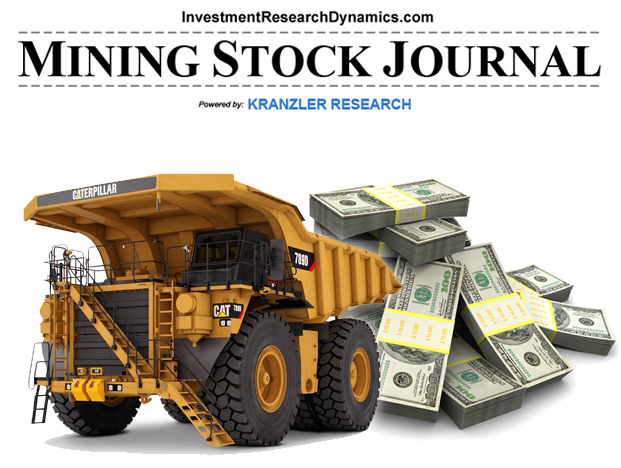 Here’s just a cursory look at the “Devil in the details” (Short Seller Journal subscribers will get the in-depth, eye-opening analysis in the next issue released Sunday afternoon). Amazon’s headline revenue “growth” cost AMZN a lot money in terms of operating earnings. Despite the “marquee” 34% sales “growth” rate, AMZN’s operating income plunged nearly 40% year/year for Q3. This drop in operating income has accelerated, as YTD for the first 9 months of 2017, AMZN’s operating income has dropped 32%. In Q3 2016, AMZN used a 47% GAAP tax rate. This latest quarter, AMZN capriciously applied an 18% GAAP tax rate. Had AMZN maintained the same GAAP tax rate used last year, its net income in Q3 2017 would have declined to $200 million, or 41 cents/share. For this, the last buyer after hours ($1,047) was willing to pay 266x trailing twelve month earnings. This is just the beginning of an in-depth look at the rotting condition of the numbers buried in AMZN’s financial statements. The next issue of the Short Seller’s Journal will pull back the curtain on areas of AMZN’s SEC-filed numbers where no Wall Street analyst or financial media cheerleader would ever dare venture. AMZN’s cash flow is declining – and its true free cash flow – not the Bezos non-GAAP “free cash flow” – is negative. I can prove it. The highly-touted acquisition of Whole Foods could turn out to be Jeff Bezos’ “Wings of Icarus.” He may have flown too close to the sun on this one. The information I present in the Short Seller’s Journal is actionable. 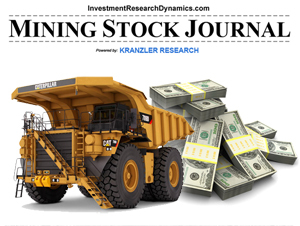 The last two times AMZN’s stock shot up I put a short recommendation on AMZN’s stock (including put option ideas) which led to profitable short-covering opportunities. 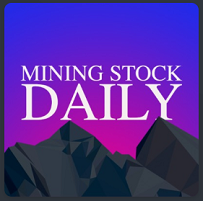 In the last issue I advised waiting until after Q3 earnings, stating that a big gap-up in after-hours would lead to another opportunity to short the stock. 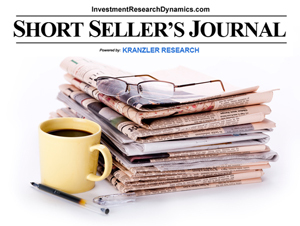 You can find out more about the Short Seller’s Journal here: Subscriber Information link. Maybe we should annoint this tick turd Federal Reserve chairman and, while we’re at it, President of the United States. Dave – You can just hear Bezo’s laugh can’t you? When I heard that, I thought Dave is going to love this… ..
homebuilders are no-brainer short. just have to withstand some pain first. home sales are sagging everywhere. I’m seeing 5-10% price cuts even in the under $400k price segment in Denver. Homes over $1mm are being taken down in $100k chunks. after witnessing this fraud that Bernie Madoff wants a retrial ? Dope airdropped by drones. How sweet it that. Getting paid is another thing. all he needs to do is grow revenue. 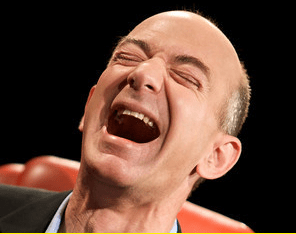 Don’t be shocked to see AMZN at $2000 by 2020! Doubtful unless a big QE4 program forces that issue. The numbers are deteriorating beneath the headline revenue growth. Fulfillment costs are soaring. It will implode from an increasing need for cash that the bond market may or may not fund in the future. Currently its EBITDA does not cover fixed payment commitments + interest expense. And operating income is declining. Speaking of housing and things made of wood, check out lumber futures. Up 50% since January and closing in on an all time high. Another “short” idea when the time is right? Maybe. But it is certainly evidence of inflation invading real goods plus it will force the cost of sales for homebuilders to soar. You are not being honest when you said “In the last issue I advised waiting until after Q3 earnings, stating that a big gap-up in after-hours would lead to another opportunity to short the stock. I would not be surprised to see it test its 200 dma, currently $904, before it reports Q3 earnings. If you want to speculate on this possibility, the October 6th weekly $920 – $930 puts, depending on how much premium you want to pay, might be a good bet. You might also want to out another week to the October 20th series. You said to buy puts with exasperation dates 2weeks before earnings not after. Those who listened lost. AMZN reports its Q3 numbers on Thursday, October 26th (after the market). The Street is looking for a penny per share earnings. Quite honestly, have no idea what to expect other than to note that 1) Bezos probably will want to post a large “beat” to make up for the huge miss last quarter; and 2) Bezos is not shy about manipulating GAAP standards in order to “bend” his numbers in the desired direction. Thus, I am expecting an upside surprise. Having said that, sometimes AMZN will drift lower in the two weeks ahead of its earnings. There is no question that, aside from the hype over the Whole Foods deal (which I believe could be corporate takeover equivalent of Icarus’ wax wings), AMZN’s stock has been losing steam. Lately I’ve started to see a lot more non-mainstream analysts allude to the fact that AMZN does not, nor has it ever, made money. I would suggest that the declining RSI trend (bottom panel in the chart above) reflects overall net selling of the stock on rallies by smart money. Note also the down-trend in the 50 dma (yellow line) since early August, which also reflects a current trend of net institutional selling. AMZN is an interesting short play going into earnings. Currently the open interest in the October 27th $1000 strike calls is about 10x the open interest in the $1000 strike puts. This is an example of rampant excess bullishness. Clearly investors, primarily retail, are speculating on a “beat” when AMZN reports. In fact, the open interest in all of the calls from $1000 to $1080 is unbelievably enormous compared to the open interest of the puts. Almost every call-strike has between 100-400 calls vs less than a total of 270 open put contracts for the entire strike price range from $1000 to $1080. This is unbelievable bullishness reflected in the put/call ratio, which is close to zero. This says the market has almost zero belief that AMZN will miss earnings. I normally don’t put out spread trade ideas but I think there’s an interesting one with AMZN October 27th calls. Short either the $1040 or $1050 calls ($11 bid and $7 bid respectively on Friday, you can probably get paid better than the bid side) and go long the $1070 calls. If you short the $1040 calls for around $11.50 and buy the $1070 calls for around $6, you’ll take in net proceeds of $5.50 in premium. If AMZN soars after earnings, your risk exposure is between $1045.50 (you’re short at $1040 and long at $1070 plus you took in $5.50 of net premium). That’s your total risk exposure. If AMZN closes below $1040 on the 27th, you’ll keep the $5.50 of premium. I find it to be highly unlikely that AMZN will close Friday over $1040 but one can’t be certain given how insane this market is right now. (note: not a bad forecast of what might happen. The spread trade would have been a big winner but only by luck of going long the $1070 calls). By the way, I don’t know if you subscribe but you are perfectly free to cancel at anytime since I don’t require any minimum time commitment other than the initial month paid in advance. OT, but it seems interesting that open interest is expanding in the face of declining POG. Based on this week’s COT, the banksters increased there shorts while funds decreased longs. Are the banksters getting anxious about market stability and need to accelerate a big gold liquidation to fully exit their naked shorts? (Especially after yesterday’s absurd move in Amazon). One has to wonder how much further the CB’s can allow this to get out of hand – unless they’ve already lost control. The equity indices look very parabolic. Amazon is a government project to create a retail monpoly. Shorting is futile. It’s an interesting theory but it requires evidence for validation. History has given us plenty of evidence that all Government attempts to achieve omnipotence ultimately fail spectacularly.